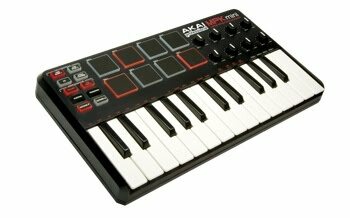 This is a 25-key keyboard with eight backlit drum pads and eight super-versatile Q-Link knobs. Those of you who like the feel of the famous MPC series with the pads will feel right at home. This gives you the controls you need to mix tracks, play soft-synths, and more. The MPK mini also has great performance controls. This little wonder even has an excellent arpeggiator with tap tempo control built right in. At $199 it is a great price. Dimensions: 12" x 7" x 1.7"
Artists and bands get your music played at these large music networks.